A creamy dip made with everything bagel spice. Serve it with bagel chips. I dare you to try and leave it alone! Mix cream cheese with your mixer until smooth. Add in spices and sour cream, beat until combined. You can visit anaffairfromtheheart.com for full instructions. 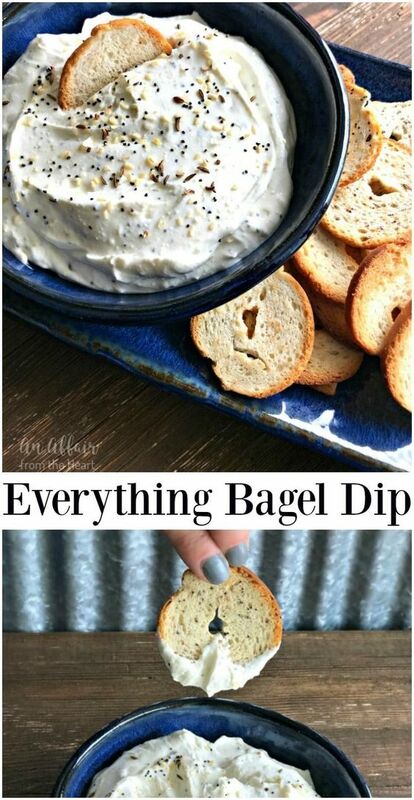 0 Response to "EVERYTHING BAGEL DIP"